Unity Trust, the commercial bank with a social conscience is celebrating a significant milestone, with loan balances now exceeding more than £400m. Unity, based in Brindleyplace, Birmingham reached this lending milestone in the same month as they announced a 68% increase in profit and confirmed that they had approved over £200m of lending to firms and projects that will deliver community, economic or environmental benefits. 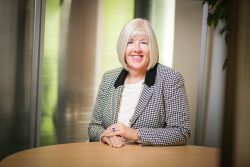 CEO Margaret Willis said: “Since becoming independent in 2015, we have seen our lending and profitability more than double. This could not be achieved without loyal customers, shareholder support and engaged and committed employees.